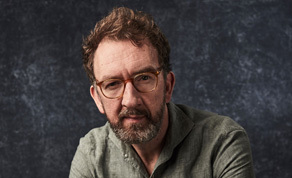 Amazon Studios has revealed an all-star cast for its new comedy series ‘Modern Love’, which is being helmed by Irish writer/director John Carney (‘Sing Street’, ‘Once’). Centred on the popular New York Times column about love and human connection, the half-hour romantic comedy anthology, which will explore love in its multitude of forms – including sexual, romantic, familial, platonic, and self-love, was given an eight-episode straight-to-series order for Amazon Prime. Carney features as writer, director and producer on the show, which boasts a cast that includes Academy Award winner Anne Hathaway (‘Ocean’s Eight’), Emmy Award winner Tina Fey (‘30 Rock’), Emmy Award nominee John Slattery (‘Mad Men’), Academy Award nominee Dev Patel (‘Lion’),Academy Award nominee Catherine Keener (‘Get Out’), Academy Award nominee Andy Garcia (‘Ocean’s Eleven’), Cristin Milioti (‘Black Mirror’), Emmy Award nominee Brandon Victor Dixon (‘Power’), Olivia Cooke (‘Ready Player One’), IFTA winner Andrew Scott (‘Sherlock’), Julia Garner (‘Ozark’), Shea Whigham (‘Homecoming’), Gary Carr (‘The Deuce’, ‘Downton Abbey’), Sofia Boutella (‘Kingsman: The Secret Service’) and Tony Award winner John Gallagher, Jr. (‘The Newsroom’). Alongside Irish actor Andrew Scott, the series will also feature an episode from IFTA winner and BAFTA/Emmy nominee Sharon Horgan (‘Divorce’, ‘Catastrophe’) who will write and direct the Tina Fey-John Slattery led episode. ‘Modern Love’ will be executive produced by Todd Hoffman and John Carney with Trish Hoffman serving as producer. Choire Sicha and Sam Dolnick of The New York Times will also executive produce with Modern Love column editor Daniel Jones serving as consulting producer. The show is currently in production in New York.